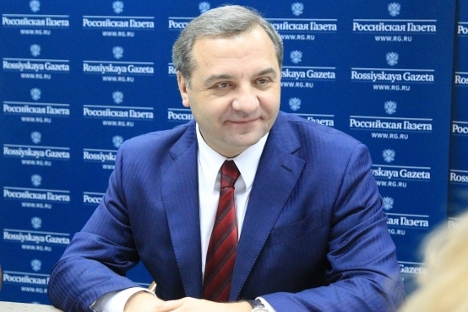 Russian Emergencies Minister Vladimir Puchkov. The main aim of the minister’s working trip is to exchange experience on implementing the strategy of decreasing the risk of natural disasters at the national and local levels. Russian Emergencies Minister Vladimir Puchkov will discuss issues of bilateral cooperation with his Greek colleagues in the sphere of preventing natural disasters and providing disaster relief, the press service of the Russian Emergencies Ministry told TASS on Nov. 22. "The main aim of the minister’s working trip is to exchange experience on implementing the strategy of decreasing the risk of natural disasters at the national and local levels," the press service said. In Athens, Puchkov will meet with the Greek interior minister. "Thy will discuss issues of expanding Russian-Greek cooperation in the sphere of preventing and eliminating the consequences of natural and technogenic disasters. At the meeting, they plan to consider issues of cooperation in the sphere of space monitoring, informational cooperation between the Russian Emergencies Minister and the Greek Interior Ministry," the Russian ministry said. After the meeting, the sides are expected to sign a document on further inter-ministerial cooperation.